In the last few weeks, two events caught my attention. 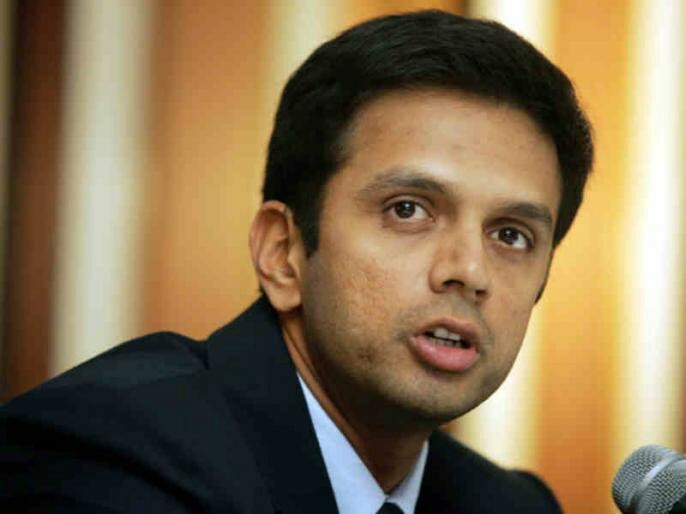 One event was that Mr Rahul Dravid, The Wall and the coach of the under 19 cricket team, turned down the reward money given to him by the government after the team won the world cup. Instead, he asked that the amount be equally distributed amongst the team management and the support staff. Mr Dravid is a rare breed and this is not the first time he has turned down awards and accolades bestowed on him. In 2017, he declined to take an honorary doctorate from the Bangalore University. But my point is this — Mrs Ambani is already so rich, powerful and famous. What would she gain by accepting another feather in her cap which is already so full of all kinds of feathers? How much is enough? And why should we all be worried by this? Forget awards for a bit. Let us take positions of power as an example. Why would a top bureaucrat or an academician take a position in a board or a committee after completing a full service? Or why would an eminent film star like Ms Rekha or a cricketer like Mr Sachin Tendulkar accept a position in the Rajya Sabha? What extra value would this position give him or her that they already don’t have? And this is not all. Let us take fame as an example. Why would a top celebrity like Amitabh Bachchan take on more assignments to endorse a brand on TV, social media, billboards, print, magazines, radio etc.? What extra value would this endorsement give him besides more fame and more money that he already has enough of? Let us take examples from all around, including our own lives because it is very easy to find faults in others. Why would someone need a big car like a Toyota Fortuner, despite the fact that he already has a pretty nice hatchback, and lives in a city which is severely congested and can always use an Ola or an Uber? How much is enough? And why should we be worried because of this? I think we all should be very worried. And here’s why. Whatever goes around, comes around. Knowingly or unknowingly, our actions impact someone else. When Mrs Ambani accepts that award, someone else, who was equally deserving but not as rich or powerful or famous as she is, gets missed out. And because of that, the entire sports industry suffers. This is explained wonderfully by theories like the butterfly effect or the domino effect.Whatever goes around, comes around. Knowingly or unknowingly, our actions impact someone else. When an already famous celebrity like Amitabh Bachchan accepts the endorsement of a brand of hair oil, some other model who is equally deserving gets left out. The entire modelling industry suffers. When someone buys a beast of a car like the Fortuner or the Discovery, a pedestrian or a biker or driver of a small hatchback and all other commuters suffer. When an acclaimed cricketer like Mr Sachin Tendulkar or an actor like Ms Rekha accepts a position in the Rajya Sabha, someone else who is far more capable in politics or public policy gets left out. The entire country suffers. And this is where people like Mr Dravid who turned down the prize money, Justice JS Verma who turned down the Padma Bhushan(posthumously), Ms Vanessa Redgrave who turned down damehood and Jean-Paul Sartre who turned down the Nobel Prize are shining examples of humanity for me. One must appreciate their level of self-awareness and guts to let go to be able to do such a thing. Their actions help someone else benefit from that opportunity and make a positive impact to all of us. Take a moment and reflect on your lives. Ask yourself, how much is enough for you and do you really need that gift, or an award, or a position or a windfall that is coming your way? If yes, by all means, grab it and make it count. But if not, let it go to someone else who can utilize that gift better than you and create a positive domino effect that impacts all of us. Originally published at rakeshgodhwani.wordpress.com on March 15, 2018.